From a background in painting, visual art, and experimental film, Rian Brown’s work includes video installation and animation, while Geoff Pingree’s experience in public television and work as a journalist and photographer have shaped his interests and approach as a filmmaker. BLUE DESERT ~ Towards Antarctica, a multi-channel video installation filmed on a three-week excursion to the remote continent, and produced by Ice Lens Pictures, which they co-founded in 2009,was their first large-scale artistic collaboration. With The Foreigner’s Home, they combine their discrete perspectives and complimentary talents to produce a film that is neither biography nor traditional documentary, but rather a suggestive and timely visual exploration of the world and work of Toni Morrison, about the questions she poses about "the foreigner," and about art’s vital role in breaking down the barriers that divide us. 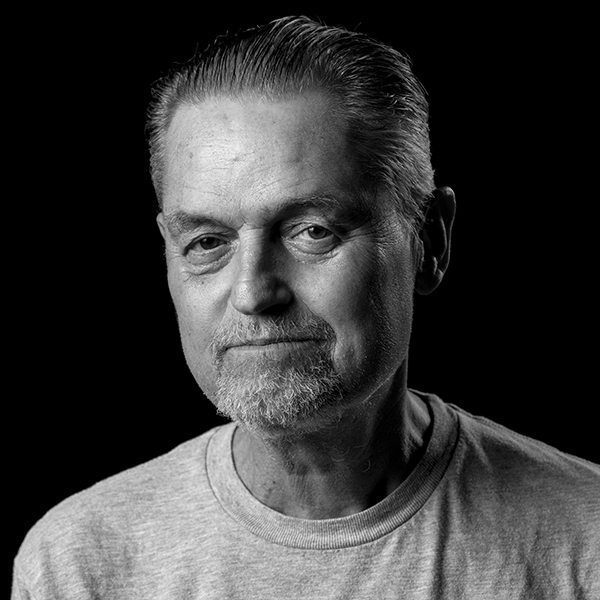 Jonathan Demme (Director) began his career as a writer and producer with Roger Corman in 1971 and directed and produced more than 40 movies. His films have been nominated for 20 Academy Awards, including Beloved, Melvin and Howard, Philadelphia, Kurt Vonnegut Jr.'s Who Am I this Time?, Rachel Getting Married, The Manchurian Candidate, and Silence of the Lambs, for which he won the Oscar for Best Director in 1991. His documentaries and performance films include Cousin Bobby, The Agronomist, Haiti Dreams of Democracy, Stop Making Sense, Swimming to Cambodia, Neil Young Heart of Gold, Neil Young Trunk Show, Neil Young Journeys, Jimmy Carter: Man from Plains, I’m Carolyn Parker, The Good the Mad and the Beautiful, New Home Movies from the Lower 9th Ward, Tavis Smiley's Been In the Storm Too Long and Enzo Avitabile Music Life. Demme’s most recent projects were Ricki and the Flash, starring Meryl Streep, Kevin Kline, Audra McDonald, Mamie Gummer and Rick Springfield, released in 2015 and a concert film featuring Justin Timberlake and his band, the Tennessee Kids which was released in 2016. Ford Morrison was born in Washington DC on June 18 1961. He studied at the University of California at Berkeley and at the Architectural Association in London. Morrison, based in New York since 1992, is an Architect for Princeton University's Plasma Physics Laboratory. This idea of a film to document artists and writers in Paris was an opportunity for me to examine the unpoliced language of politics and art. The Louvre provided an ideal setting for the dissemination of both art and theory to many new participants. For eight weeks I filmed the newly curated installations, slam poets and writers, choreographers, dancers, musicians and actors. The Foreigner's Home developed toward a cultural polemic to open dialogue where none existed. From the NY Times: Foreign Bodies, an installation in the Louvre’s Melpomène Gallery in which the American choreographer William Forsythe and the German sculptor and video artist Peter Welz have revisited Francis Bacon’s last—unfinished—portrait. Jay Ashby is a four-time GRAMMY winning producer and has received multiple nominations in other categories, including Arranging and Engineering. A “consummate musician” whose talents “know few bounds” (Pittsburgh Tribune-Review ), Ashby has performed, toured, and recorded with some of the most renowned jazz artists in the industry for over 30 years. As a member of The United Nation Orchestra, under the direction of Paquito D’Rivera, and the Dizzy Gillespie Alumni All-Star Big Band, Ashby forged long lasting musical relationships with jazz greats including Jon Faddis, Monty Alexander, James Moody, Jimmy Heath, Randy Brecker, and Slide Hampton, among many others. Through his association with trumpet master Claudio Roditi, Ashby developed a strong affinity for Brazilian Jazz, which led to many years as a soloist with Astrud Gilberto, as well as arrangements, tours, performances and recordings with numerous Brazilian artists including Tania Maria, Kenia, Ivan Lins, Trio Da Paz, and the fathers of Bossa Nova Joao Gilberto and Antonio Carlos Jobim. Ashby can be heard as both a trombonist and a percussionist on over 175 recordings covering a continuum of styles from jazz and pop to world music. Ashby’s current release, Mistaken Identity (CD Baby 2011), with fellow trombonist Steve Davis, has received critical acclaim within the jazz industry, remaining on the national air-play list for an unprecedented 16 weeks, reaching as high as #2. As an arranger, among numerous others, notable recordings include Live in Paris with Paul Simon, Beyond Brooklyn with Herbie Mann and Phil Woods, A Day Like This with New York Voices, and both of Nancy Wilson’s GRAMMY winning albums, Turned to Blue and R.S.V.P. His versatility as a pop trombonist, percussionist, and arranger began in 1999 with pop icon Paul Simon, with whom Ashby toured and performed extensively both on the stage and on television. Appearances with Simon include the Today Show, Saturday Night Live, Late Show with David Letterman, in addition to performing alongside James Taylor, Stevie Wonder, and a host of other artists honoring Paul Simon at the 2007 Gershwin Award Show. Most recently, Ashby participated in the start studded HBO broadcast of the 25th Anniversary of the Rock and Roll Hall of Fame at Madison Square Garden.